21 to 25 -Come and be put on trial for your crimes at Colchester Castle over half term week! Wel will be in attendance as the Sheriff of Colchester. Come and learn what was a crime in medieval times and what the brutal trials and punishments might have been. 14 & 15 – If you’ve ever fancied meeting your knight in shining armour, then come along to Bodiam Castle this weekend and meet Sir Thomas as he arms up for battle. Learn what armour was worn and what weapons would have been used. Their is armour of all sizes for young and old to try on. 28 to 30 – Join us at Dover Castle for a WW2 spectacular. Fred will be on hand to tell you about Bombs, shelters and all things ARP related and Ivy will be on hand to help explain the mysteries of rationing. 1 to 5 June – Time travellers go Knights and Princesses at Framlingham Castle. Details to follow. 27 to 30 – Bodiam Castle – Medieval week for schools. Would you like to visit Bodiam Castle, why not make your students visit even more special by visiting Happening History at the castle. All week we will be running displays on medieval life. Students can learn about clothing, food, marriage, try on armour, hold a weapon or learn about medieval surgery. Booking is essential so please contact the castle directly or we’d be happy to pass on your details. 1 – Medieval day for schools at Bodiam Castle. 3 – WW2 Festival at Stanford Le Hope, a town in Essex. Fred the Air Raid Warden talks about all all issues ARP. Come and learn how to tackle an incendiary bomb and try out a Morrison shelter, learn how much a weeks rations would have been and learn about the Home Guard. Many more activities are happening in the town during the day. 4 to 8 – Bodiam Castle Medieval week for schools. Would you like to visit Bodiam Castle, why not make your students visit even more special by visiting Happening History at the castle. All week we will be running displays on medieval life. Students can learn about clothing, food, marriage, try on armour, hold a weapon or learn about medieval surgery. Booking is essential so please contact the castle directly or we’d be happy to pass on your details. The workshops are for students from ages 4 to 16. 16 – Milcome Village Fete – Come try on armour and hold a sword or be put on trial at Milcombes village fete. 3 to 7 – Time Travellers go Knights and Princesses at Wrest Park. Details to follow. 8 to 12 – Time Travellers go gruesome at Bolsover Castle. Come and meet the sheriff of Bolsover and be put on trial for your crimes and join the surgeon as she tells grim tales of amputations, tooth extractions and blood sucking leeches! 15 to 19 – Time travellers go Medieval at Kenilworth Castle. Details to follow. 20 & 21 – Time travellers go gruesome at Battle Abbey. Come and meet the sheriff of Bolsover and be put on trial for your crimes and join the surgeon as she tells grim tales of amputations, tooth extractions and blood sucking leeches! 17 – Church Ale event Colchester – A local event to Happening History. Members of the public will be put on trial for their crimes by the sheriff. 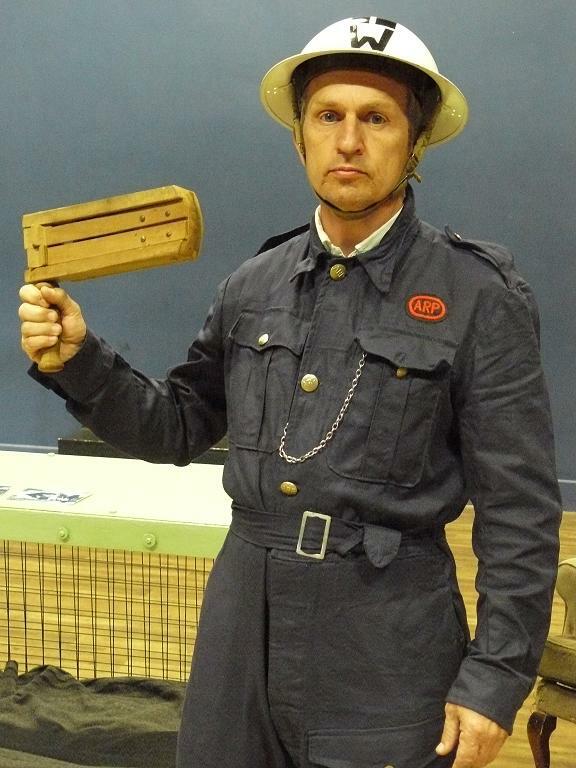 18 – Chatham DockYard – WW2 Event – Fred will be on hand to tell you about Bombs, shelters and all things ARP related and Ivy will be on hand to help explain the mysteries of rationing. 24 to 25 – Be inspired and make a visit to Bodiam Castle where we will be cooking up a treat. We will be cooking various medieval foods and we will need help from visitors to make butter in the churns and flour on the quern. Learn all about medieval milling, see the different grains and breads medievals would have eaten and some of the beautiful tableware they would have used. If that’s tickled your tastebuds you can also taste some medieval delights at the castles cafe afterwards. 26 to 30 – Medieval week for schools. Would you like to visit Bodiam Castle, why not make your students visit even more special by visiting Happening History at the castle. All week we will be running displays on medieval life. Students can learn about clothing, food, marriage, try on armour, hold a weapon or learn about medieval surgery. Booking is essential so please contact the castle directly or we’d be happy to pass on your details. The workshops are for students from ages 4 to 16. 10 to 14 – Medieval week for schools. Would you like to visit Bodiam Castle, why not make your students visit even more special by visiting Happening History at the castle. All week we will be running displays on medieval life. Students can learn about clothing, food, marriage, try on armour, hold a weapon or learn about medieval surgery. Booking is essential so please contact the castle directly or we’d be happy to pass on your details. The workshops are for students from ages 4 to 16.